Over the specs, the device features 5.5 inches 1080p QHD display with D curved glass panel. The resolution of the display is said to be 1920 x 1080 pixels. The phone is said to be powered by Qualcomm Snapdragon processor. The processor will be coupled with 8 GB RAM on the board, and the company will be offering a memory of 64 GB which will be expandable up to 128 GB using a microSD card. The device will be running on Android OS Marshmallow v6.0.1 underneath LeEco’s EIU and is backed up by 5,000 mAh huge nonremovable battery. The company is offering a primary camera of 16 megapixels and a front camera of 8 megapixels for shooting selfies. Talking about the built, the device will be coming with the full metal build, and there is a fingerprint sensor on the back of the device. The device looks exactly like iPhone 7. the company ditches a 3.5 mm audio jack in the phone and an option of USB Type C with CDLA technology. The company is offering EQ-24BCN that supports Quick Charge technology with a power output of 24W. The thing which can draw the attention of the customers is that it will be the first ever smartphone which will be providing RAM of 8 GB coupled with SD 821. Other super smartphones like One Plus 3, LeEco Le Max2, Asus Zenfone 3 Deluxe have 6 GB RAM on their boards. 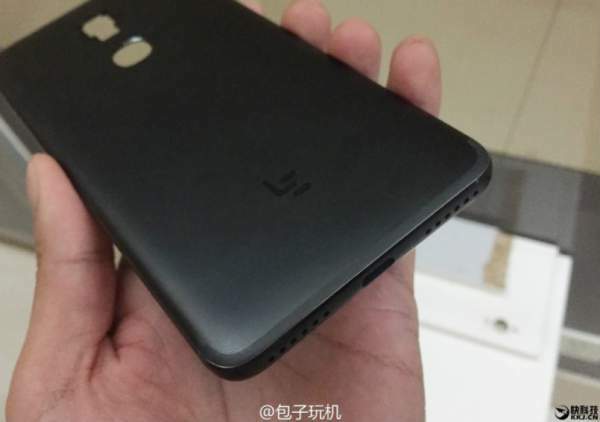 According to rumour, the company is planning to launch this product on Sept 7. On the same day, when Apple is about to launch its iPhone 7 (expected name). The device will first launch in China and then in the other parts of the world. Talking about the price of the smartphone, it is unpredictable. But the last launched phone of this series Le 2 was priced at Rs. 11,999 and this smartphone will be slightly expensive than that. For the exact specs and price, wait for the launch. For more information and query, comment below and Stay tuned to our website for more updates. Don’t forget to subscribe to the website. Stay tuned for latest phone news.